Back when the first Ryzen processors were launched by AMD, it changed the world. And,w e were impressed even more with the sophomore Ryzen 2nd Generation. But, with Ryzen 3rd Generation, or Ryzen 3000, we’ll get the first 7nm mainstream processors and even more profound change. Considering Intel’s well-documented struggles to introduce 10nm Cannon Lake chips, AMD has swooped in and upstaged its rival completely even before it had a chance to launch Sunny Cove or Ice Lake, while also introducing some of the most impressive consumer processors ever made. 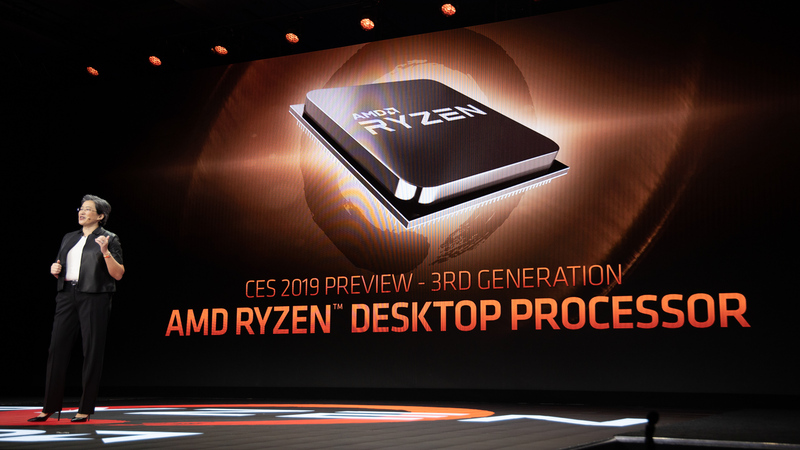 At CES 2019, AMD announced its first Ryzen 3000-series processor will arrive some time in the middle of 2019. Unfortunately, the chipmaker didn’t give us an exact date, but Ryzen 3rd Generation does seem to be releasing a little later than previous launches. The first generation of Ryzen processors hit the market in March 2017 and Ryzen 2nd Generation arrived a month later in 2018. With that in mind, it’s a bit surprising Ryzen 3000-series chips will be coming a bit later – our best guess is they’ll arrive in May to July at the latest (we hope). AMD didn’t announce any pricing information on its upcoming 8-core, 16-thread Ryzen 3000-series processor so don’t have any empirical proof what it’ll cost unfortunately. Although, this list of prices seems compelling and on track with the prices of AMD’s current lineup of Ryzen 2nd Generation processors, we would buy into them until Team Red officially announces prices. Now what’s interesting here is AMD has a track record of lowering the prices of its processors going from Ryzen to Ryzen 2nd Generation. The AMD Ryzen 7 1700X originally launched with a $399 (£389, AU$569) price and it was succeeded by the more affordable $329 (£349, AU$515) AMD Ryzen 7 2700X. So far we only know of one Ryzen 3000-series processor and that is a 8-core and 16-thread chip designed to go toe-to-toe with Intel’s flagship Core i9-9900K. Overall it seems that, Ryzen 3rd Generation’s 7nm architecture affords it 12% more performance while making AMD chips about 30% more power efficient than Intel’s latest 14nm CPU architecture.